On July 26th, the Department of Justice (DOJ) released updated regulations under the Americans with Disabilities Act (ADA). 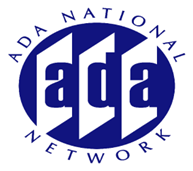 The new regulations update DOJ's ADA Accessibility Standards which govern the construction and alteration of facilities covered by the ADA, including places of public accommodation, commercial facilities, and state and local government facilities. The new standards are based on revised minimum guidelines previously established by the Access Board. DOJ representatives will review the changes in the regulations, including effective dates for new construction and alterations, provisions for existing facilities, and other topics related to the implementation of the 2010 standards. Access Board staff will follow with an overview of the major changes in the scoping and technical provisions in the updated standards, highlighting 10 of the most common questions. An open question and answer session will provide an opportunity for session participants to interact with Access Board accessibility specialists.